The government of the Makkans resembled a constitutional government. Their Darun Nadwah was like a national consultative assembly where the heads of the tribes met at the time of crisis and exchanged views on complicated matters and took collective decision. In the thirteenth year of the Prophet’s prophetic mission the people of Makkah were faced with a great danger from the Muslims. It threatened their very existence and freedom. The great base which the Muslims set up in Yathrib and the responsibility taken by the residents of Yathrib for the protection of the Prophet were clear signs of this threat. In the month of Rabiul Awwal of the thirteenth year of the prophetic mission, when the Prophet’s migration took place, none of the Muslims was left in Makkah except the Prophet, Ali, Abu Bakr and a few other Muslims who had been detained by Quraysh or those who were old or sick. There was however, every possibility of these persons also leaving Makkah for Yathrib. In the meantime Quraysh suddenly took a categorical and dangerous decision. “This plan is not at all practicable, because Bani Hashim will not spare the life of the murderer of Muhammad and the payment of blood-money will not satisfy them. Hence, whoever volunteers to execute this plan should first part with his own life and no such person is found amongst you”. “The best thing would be to imprison Muhammad and to provide him food and water through a hole and thus prevent the spreading of his religion”. “This scheme is also not very much different from the first one, because in that event Bani Hashim will wage war against you to get him released. And even if they themselves are not successful in achieving this object they will seek help from other tribes at the time of Haj and will get him released with their assistance”. “It will be better if we make Muhammad mount a refractory camel and tie both of his feet and make the camel run so that it may strike him on hills and stones and thus shatter his body. And if, by chance, his life is saved and he alights in the land of some other tribe and wants to propagate his religion amongst them they themselves, who are zealous idolaters, will settle their accounts with him and will save us and themselves from his mischief”. “You are aware of Muhammad’s attractive and fascinating way of speaking. By his sweet speeches and oratory he will make the other tribes his allies and will then swoop down on you”. “The only proper and easy way is that some persons should be selected from all the families and they should jointly attack his house at night and cut him into pieces, so that all the families might be held responsible for the murder. It is evident that in that case Bani Hashim will not be in a position to take revenge on all the families”. These muddle-headed persons were under the impression that like other mundane affairs the institution of prophethood, too, could be destroyed with such schemes. They could not conceive that like other Prophets the Prophet of Islam was also blessed with Divine assistance and the hand that had protected this luminous torch from the hurricanes of accidents for thirteen years could also frustrate the present plan of his enemies. “Remember how the unbelievers plotted against you. They sought to take you captive or kill you or banish you. They devised plans-but Allah too made a plan and Allah is the best planner.” (Surah al-Anfal, 8:30). The Prophet was ordered by Allah to proceed to Yathrib. However, it was not an easy task to get rid of the cruel hands of the idolaters, especially when they were on the look-out for him and the distance between Makkah and Yathrib was also long. In case he had not left Makkah after proper planning it was probable that the Makkans might have overtaken and arrested him and had shed his blood before he could join his friends. The historians and biographers have given different versions about the migration of the Prophet and the differences between them about the particulars of the incident are unusual. The writer of Seerah-i Halabi has succeeded to some extent in making the different narratives compatible with one another, but has failed to eliminate the contradictions in some cases. The thing which deserves attention is that most of the Sunni and Shi’ah traditionalists have put the Prophet’s migration in such a way that one concludes that it was a miraculous feat to get rid of the enemy, whereas a careful study of the incident reveals that the Prophet’s escape was the result of his foresight, careful planning and the precautionary measures taken by him; and Allah had willed to provide him safety through natural channels and not by means of miraculous acts. The thing which bears testmony to this view is that the Prophet availed of natural causes and rational means (like making Ali sleep in his own bed and concealing himself in the cave etc. and thus ensured his safety. The Archangel Jibreel informed the Prophet about the wicked plan of the unbelievers and asked him to migrate. The Prophet ordered Ali to sleep in his bed, and pass through the terrible ordeal for the safety of Islam, so that the unbelievers might not think that the Prophet had left, but should remain under the impression that he was in the house. Thus Ali remained contented with remaining in the house, so that he himself could move freely through the streets of Makkah and in its precincts. The advantage underlying this plan was that the enemies kept guarding the Prophet’s house only, and he himself gained time to move to a place of safety. “Sleep in my bed tonight and cover yourself with the green sheet which I use during sleep, because the enemies have conspired to kill me and it is, therefore, necessary that I should migrate to Yathrib”. Ali occupied the bed of the Prophet early in the night. When three-fourth of the night had passed, forty persons encircled the house and peeped into it through a hole. They saw the condition of the house to be as usual and thought that the man who was sleeping in the bedroom was the Prophet himself. When the Prophet left the house, all of them had gone to sleep and wanted to attack the house in the morning and did not imagine that the Prophet was aware of their plot. However, other historians clearly narrate231 that the enemies remained awake till the time they attacked the Prophet’s house and he came out of the house miraculously and they could not see him. There is no doubt about the fact that such a miracle is possible. But the question is: Was such a miracle necessary on this occasion? Complete scrutiny of the circumstances of migration proves positively that the Prophet was aware of the plot of the enemies before they besieged his house and the plan which he chalked out for his escape was perfectly natural and had nothing supernatural about it. By making Ali sleep in his bed he wanted to free himself from the idol-worshippers by natural means and not through miracle. Hence, he could very well leave the house before it was besieged and did not need any miracle for the purpose. “Did you hand him over to me so that I may deliver him back to you? Anyway, he is not in the house at present”. The faces of the agents flushed with anger and their throats were choked on this account. They regretted having waited till morning and blamed Abu Lahab who had restrained them from making an attack at night. Quraysh became very much excited owing to the frustration of their plan and the defeat which they had to suffer. They began thinking that Muhammad could not manage to go out of the environments of Makkah within such a short time and concluded that he had either concealed himself within Makkah or was on his way to Yathrib. They, therefore, planned to capture him. In any case many biographers of the Prophet consider this companionship to be a proof of the Abu Bakr’s greatness and quote this incident prominently in connection with his virtues. “It appears that the Prophet intended to come to this place. It is possible that he is hidden in the cave”. “There are cobwebs on the mouth of the cave, which show that there is no one inside it”. These activities continued for three days and three nights and then Quraysh lost all hope and abandoned the quest. The most important point in regard to this event is the self-sacrifice of Ali in the path of reality. Self-sacrifice in the path of reality is the quality of those who are wedded to it- persons who ignore their lives, property and position, and spend their entire spiritual and material capital for the revival of truth. Such persons are decidedly the lovers of reality and the perfection and auspiciousness which they observe in their pursuit for it makes them surrender their temporary life and to embrace the eternal one. Ali’s sleeping in the Prophet’s bed during that tumultuous night is an outstanding specimen of this love for reality. There was no other stimulant for this hazardous feat except love for the survival of Islam, which is a surety for the prosperity of the society. The greatness and importance of this act has made the great sages of Islam consider it to be one of the greatest virtues of Ali, the Commander of the Faithful and they have introduced him as a brave and self-sacrificing person. And wherever this event has been mentioned in exegetes and history it has been admitted that the said verse was revealed about him. This truth can never be forgotten. The face of reality always shines through the inner folds of superstition and the scattered patches of a cloud cannot diminish the light of the sun. The enmity of Mu’awiyyah with the family of the Prophet and especially with the Commander of the Faithful needs no mention. He planned to bribe some of the companions of the Prophet so as to get falsehoods forged with a view to stain the luminous pages of history, but he could not succeed. Samrah bin Jundab who lived during the time of the Prophet and later attached himself to the court of Mu’awiyah used to tamper with facts and was paid for doing so. One day, while he was present before Mu’awiyah, the latter asked him earnestly to mount the pulpit and refute that the said verse was revealed about Ali. He also asked him to tell the people that this verse was in fact revealed for the assassin of Ali (i.e. Abdur Rahman, bin Muljam). As a reward for this act, which would have ruined Samrah’s faith, Mu’awiyah offered him one hundred thousand dirhams. Samrah did not agree. Thereupon Mu’awiyah raised the amount and the deal was finally settled for four hundred thousand dirhams. The greedy old man began falsifying the facts of history and worsened his guilt-stained reputation. He said before a gathering that the said verse had been revealed about Abdur Rahman bin Muljam and not about Ali. Ahmad bin Abdul Halim Harani Hanbali who died in the prison of Morocco in 728 A.H. was one of the Sunni scholars and most of the beliefs of Wahabis originate from him. He held special views about the Holy Prophet, Ali, the Commander of the Faithful and other members of the Prophet’s family and has recorded most of his beliefs in his book entitled “Minhajus Sunnah”. Owing to his deviated beliefs most of his contemporary ulema accused him of heresy and showed disgust for him. However, discussion of these matters is beyond our aim. He has said something about this distinction 238 which may be placed before you with minor amendments. It is seen at times that some incapable persons with scant or superficial knowledge are influenced by his words and they propagate his view among common people without any investigation and without consulting those learned in the field, and the irony is that people may consider them to be research scholars. They are, however, oblivious of the fact that these words are those of a heretic who has been refuted by his co-religionists and has been charged with heresy. Before giving detailed replies to the abovementioned two points we may say briefly: “By denying one distinction Ibn Taymiyah has proved a still greater distinction for Ali, because his faith about the truthfulness of the Prophet was either an ordinary faith or it was a strong and extraordinary faith or all the words of the Prophet were clear before him. According to the first assumption (i.e. in case his faith was ordinary) Ali did not at all possess any definite knowledge of his remaining immune from any harm. This is so because the words of the Prophet do not create a definite knowledge in the hearts of such people (and Ali was decidedly not one of them). Even if they apparently accept his words to be true they entertain anguish in their hearts. And in case they sleep in his place at times of danger their disturbance of mind increases all the more and the monster of death appear before their eyes every moment. According to this assumption, therefore, Ali undertook this task with the possibility of being killed and not with the knowledge that he would remain safe. According to the second assumption Ibn Taymiyah has proved a greater distinction for Ali, because if the faith of a man is so firm that the words of the Prophet are crystal clear to him and the excellence of such a faith surpasses everything else. The result of such a faith is that when the Prophet tells him: “Sleep in my bed and you will not meet any harm from the enemies”. He walks with perfect peace of mind and occupies his bed and does not feel the least fear in his heart. And if the view expressed by Ibn Taymiyah (that Ali had knowledge of his safety, because the truthful Prophet had told him so) be a proof of the highest degree of faith, he should know that he has unconsciously proved this greatest distinction for Ali. As regards the first argument it may be said that the sentence, “Sleep in my bed and you will not suffer any harm”, has not been quoted by any reliable historian.239 No doubt Ibn Athir (d. 630 A.H.)240 and Tabari (d. 310 A.H.)241 have quoted this sentence but it appears that their source is Seerah-i Ibn Hisham242 who has quoted the matter in this way- especially because the text of these historians in this regard is exactly the same as that of Ibn Hisham. Besides this, so far as we are aware, this matter is not found in the writings of Shiiah scholars. Shaykh Muhammad bin Hasan Tusi (d. 460 A.H.), has quoted the event of migration in his ‘Amali’ in great detail and has also mentioned the said sentence with a minor alteration. However, what he says is different from that quoted in the writings of Sunni scholars, for he clearly quotes that, when the night of migration had passed, Ali and Hind bin Abi Hala (son of Khadijah and step-son of the Prophet met him [the Prophet]) during the following nights. During one of those nights the Prophet said to Ali: “O Ali! Henceforth these people will never be able to overpower you”. “I have protected with my life the best man, who has laid his feet on earth, and the noblest man, who has performed ‘Tawaf’ of the ‘House of Allah’ and ‘Hajar-i Isma’il’. That dignified person is Muhammad bin Abdullah. And I acted in this way when the unbelievers were plotting against him. At that time the Great Allah protected him from their plot. I remained in his bed from night till morning and kept waiting for the enemy, and prepared myself for captivity and death”. (Suyuti has quoted these lines from Ali in his exegesis entitled ‘Durre Manthur’). In the presence of these expressive sentences and clear explanations there remains no justification to rely upon the words of lbn Hisham, because there are more chances of his committing mistake. And there is a great probability that, as Ibn Hisham desired to narrate things in a compressed manner, he contented himself with quoting only the actual sentence. And as it was immaterial for him as to when this sentence was uttered (which was actually uttered during the second night) he ignored to quote the time and narrated things in a way as if all these incidents occurred during the very night of migration. Another evidence which confirms this statement is the well-known tradition which has been quoted by many Sunni and Shi’ah scholars. According to this report Allah addressed the Archangels Jibreel and Mika’il that night and said: “If I decide to grant one of you life and the other death which of you would be ready to accept death and leave life for the other?” Neither of them agreed to this proposal. The Almighty then said: “Now Ali has preferred death for himself and sacrificed his life for the Prophet”. Then He ordered them to descend to earth and undertake the safety and protection of Ali. The initial stages of the escape of the Prophet assumed a practical shape with the help of proper planning. The Prophet took refuge at night in the Cave of Thaur and foiled the plan of the conspirators. He did not feel any disturbance of mind. So much so that at critical moments he consoled his companion with the words: “Don’t worry. Allah is with us”. For three days and three nights they enjoyed the blessing of Allah. According to Shaykh Tusi (in ‘Amali’), Ali and Hind bin Abi Hala (the son of Khadijah) and according to many historians, Abdullah bin Abu Bakr and ‘Amr bin Fuhayrah (the shepherd of Abu Bakr) used to go and meet the Prophet. Ibn Athir writes:243 “During nights Abu Bakr’s son informed his father and the Prophet about the decisions taken by Quraysh and his shepherd made the sheep pass by the cave on their way to Makkah so that the Prophet and his companion might use their milk. At the time of his return Abdullah walked before the sheep so that his footprints might be obliterated. Among the directions given by the Prophet that night in the Cave of Thaur some were that Ali should declare on the following day in broad daylight with a loud voice that in case someone had kept something with Muhammad for safe custody or if he (Muhammad) was indebted to any person, the persons concerned should receive their property back. 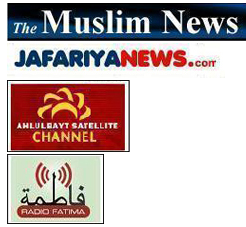 Then he gave directions about the departure of ‘Fawatim’ (which means his own dear daughter Fatimah and Fatimah daughter of Asad and Fatimah daughter of Zubayr) and ordered Ali to make arrangements for their journey as well as for such other members of the family of Hashim as were inclined to migrate. And he pronounced on this occasion the sentence which has been relied upon by Ibn Taymiyah for his first argument. He said: “Henceforth these people will never be able to overpower you”. As you can observe the Prophet ordered Ali to return the things entrusted to him by the people when the ‘night of stay’ had already passed. These orders were given by him to Ali when he himself was getting ready to leave the cave. In short Shaykh Tusi quotes reliable authorities saying that orders regarding the return of things entrusted to the Prophet by their owners were given by him after the ‘night of stay’ we need not refute this authentic version and get busy in amusing the people And as regards the Sunni historians having quoted the matter in a manner which apparently gives the impression that all directions were given by the Prophet during one and the same night viz. the night of migration, it needs explanation and it is not improbable that their object was to quote the original facts and they did not attach any importance to the determination of time at which these recommendations were made and directions given to Ali. “It is necessary to take advantage of the darkness of night and get beyond the reach of the Makkans as early as possible and to select an unfrequented path”. The history of the Muslim era commenced from that very night. Hence, they determine the dates of all events according to the Hegira calendar and record them in history accordingly. Islam is the most perfect heavenly religion and adapts the religions of Musa and ‘Isa in a more perfect form suited to all the conditions and situations. It has brought blessing for mankind. Although Jesus and his birth are respectable in the eyes of the Muslims, they did not adopt his birth as the origin of their era, because they are an independent and distinguished nation and it is not appropriate that they should follow others in adopting their era. For quite some time; the ‘Year of the Elephant’ (the year in which Abraha came to Makkah with an army of elephants and wished to demolish the Ka’bah) was treated by the Arabs to be the origin of history and the birth of the Prophet also took place in the same year. However, the Muslims did not treat it to be the first page of the history of Islam. The year of Be’that (appointment to the prophetic mission) was also not treated to be the starting point of the history of the Muslims, because at that time there was no trace of Islam and the Islamic faith, and the number of the Muslims in those days did not exceed three. However, in the first year of migration, Islam and the Muslims were blessed with a great success. An independent government came into existence in Madina. The Muslims got rid of homelessness and freely gathered at a central place. On account of this very success and victory, therefore, they decided to treat that year to be the starting point of their history 247 and till today they reckon the date of everything; good and evil in accordance with it. The journey which the Prophet had to perform consisted of a distance of about 400 kilometers, and covering this distance in the scorching heat of summer necessitated correct planning. Furthermore, they (i.e the Prophet and his companions) were also afraid of the Arabs, who met them on the way, for they might report their whereabouts to Quraysh. They, therefore, performed the journey at night and rested during day-time. It seems that a camel-rider, having seen the Prophet and his companions from a distance, went to Quraysh at once and informed them of the itinerary of the Prophet. In order to earn the prize alone, Saraqah bin Malik bin Ja’sham Madlaji dissuaded others from pursuing the matter and told them that they (i.e. the persons seen by the said camel-driver) were some other persons. Then he came to his house, armed himself, rode a swift horse and reached, as quickly as possible, the spot where the Prophet and his companions were resting. “This state of affairs made the Prophet’s companion very sad and the Prophet had to console him once again with the words: ‘Don’t worry. Allah is with us’. Saraqah was very proud of his physical strength and sharp weapons and was quite ready to shed the blood of the Prophet to earn the biggest prize offered by the Arabs. In the meantime the Prophet prayed for himself and his companions with a heart overflowing with faith and confidence and said “O Allah! Save us from the mischief of this man”. Suddenly Saraqah’s horse got startled and threw him violently on the ground. Saraqah realized that a Divine hand was at work and these developments were due to the bad intention which he had against Muhammad.249 He, therefore, turned to the Prophet in a beseeching manner and said: “I surrender my slave and camel to you and am prepared to do whatever you like”. The Prophet then replied: “I want nothing from you”. “Return and dissuade others from pursuing us”. The Sunni and Shi’ah writers have quoted miracles which were performed by the Prophet during his journey from Makkah to Madina. For brevity’s sake, however, we refrain from narrating them. Quba, which is situated at a distance of two leagues from Madina, was the seat of the tribe of ‘Bani ‘Amr bin ‘Auf’. The Prophet and his companions reached there on Monday the 12th of Rabiul Awwal and stayed at the house of Kulsum ibnul Hadam, the chief of the tribe. A number of ‘Muhajirs’ (migrants) and ‘Ansar’ (helpers) were then awaiting the arrival of the Prophet. The Prophet stayed there till the end of the week and during this time he laid the foundation of a mosque for the tribe of Bani ‘Awf. Some persons insisted upon his proceeding to Madina as early as possible. He was, however, waiting tor the arrival of his cousin, Ali. “Whoever has entrusted anything to Muhammad should come and take it back from me”. Those concerned came and took back their things after mentioning the marks of identification. Thereafter, according to the directions given by the Prophet, Ali had to take to Madina, along with himself, the Hashmite women including Fatimah, the daughter of the Prophet and his own mother Fatimah binte Asad, and also those Muslims who had not till then been able to migrate. Ali adopted the route of ‘Zi Tuwa’ and proceeded to Madina at night. “The spies of Quraysh came to know about the migration of Ali and his party. They, therefore, pursued him and came face to face with him in the area of ‘Zajnan’. Hot words were exchanged between them. During that time the cries of women were reaching the sky. Ali realized that he had no alternative left but to defend the honour of Islam and the Muslims. He, therefore, turned to the opponents and said: “Whoever wishes that his body should be cut into pieces and his blood should be shed should come forward”. Signs of wrath were visible on his face. The agents of Quraysh felt that the matter had become serious. They, therefore, adopted a conciliatory attitude and took to the way they had come”. There was a great excitement and jubilation among the people who had expressed faith in the Prophet three years ago and sent their representatives to him every year and used his sacred name every day in their prayers, when they learned that their great leader had arrived at a distance of only two leagues and was likely to enter their city soon. What their feelings and emotions were cannot be described in words. The Ansar had thirst for Islam and its sublime and invigorative programme, and in order to purify Madina of all traces of polytheism and idol-worship they had burnt the idols and had removed all signs of idolatry from the homes, the streets and the bazaars of the city. It will be appropriate if we quote here an example of the interest taken by the Ansar in Islam. “If you are the origin of any strength in this world defend yourself”. “The moon rose from Thaniyatul Wida’. It is our duty to be thankful for this blessing till the day when even one person on the face of the earth prays to Allah and worships Him”. “O you, who have been sent by Allah for our guidance! It is necessary for all of us to obey your orders”. “Don’t obstruct the camel. I shall dismount wherever it kneels down”. “Let somebody go to the place where my belongings are”. And As’ad bin Zurarah took the camel of the Prophet to his own house. The historians generally say that the Prophet arrived in Madina on Friday and offered Friday prayers along with his companions at a spot which was situated in the area of Bani Salim tribe. Here he delivered an eloquent sermon which made deep impression on the hearts of the people who had never heard such words before. The text of this sermon has been quoted by Ibn Hisham,258 Miqrizi in Amta’ul Asma’ and by Allamah Majlisi.259 However, the wording and contents of the sermon as quoted by the first two are different from those quoted by Allamah Majlisi. 230. Tabaqatul Kubra, vol. I, pp. 227-228 and Seerah-i Ibn Hisham, vol. I, pp. 480-482. 231. Tabaqat-i Kubra, page 228 and Tarikh-i Tabari, vol. II, page 100. 232. Seerah-i Halabi, vol. II, page 32. 233. A’lamul Wara’, page 39 and Biharul Anwar, vol. XIX, page 50. 234. Tarikh-i Tabari, vol. II, page 100. 235. Tabaqat-i Kubra, vol. I, page 229 etc. Most of the biographers have quoted this miracle. In view of what we have said regarding miracles in connection with the narrative about Abraha it does not appear appropriate that we should unnecessarily explain away or amend this series of miracles. 236. In Sharh-i Nahjul Balaghah of Ibn Abil Hadid this distinction of Ali has been mentioned in suitable words (vide vol. XIII, page 262). 237. Samrah bin Jundab was one of the criminal elements of the Umayyad period. He did not only tamper with facts to the extent mentioned above, but as quoted by Ibn Abil Hadid he also added something to it and said that what was actually revealed about Ali was this verse: And among men is he whose speech about the life of this world causes you to wonder, and be calls on Allah to witness as to what is in his heart, yet he is the most violent of adversaries. (Surah al-Baqarah, 2:204) During the period of the governor-generalship of Ziyad bin Abih in Iraq, Samrah was the Governor of Basrah. One of the crimes of this man was that he killed eight thousand Muslims and devotees of the family of the Prophet. When Ziyad called for his explanation and said: “How did you pick up courage to kill all these people? Did it not cross your mind that possibly there might be some innocent persons amongst them?” He replied: “I won’t mind killing even more than these”. His shameful acts are too many to be inserted in these pages. This obstinate man was the very person who rejected the recommendation of the Prophet about respecting rights of a neighbour, and the Prophet said to him: “You are a harmful person and Islam does not allow that one should do harm to others or tolerate harm from them”. 238. Before him Jahiz partly mentioned this objection in his book entitled ‘al-Usmaniyah’. Please refer in this connection to Sharh-i Nahjul Balaghah by Ibn Abil Hadid, vol. XIII, page 262. 239. For example this sentence has not been mentioned in Tabaqat-i Kubra, pp. 227 – 228. Its author was born in 168 A.H. and passed away in 238.A.H. Maqrizi too has not mentioned it in al-Imta’a. 241. Tarikh-i Tabari, vol. II, page 99. 242. Seerah-i Ibn Hisham, vol. I, page 483. 243. Tarikh-i Kamil, lbn Athir, vol. II, page 73. 244. Seerah-i Halabi, vol. II, page 37. 245. Seerah-i Ibn Hisham, vol. I, page 491; Tarikh-i Kamil, vol. II, page 75 and in the footnote of the Tarikh-i Ibn Athir. 246. Tarikh-i Tabari, vol. II, page 104. 247. lbn Wazeh Akhbari writes in his history entiitled ‘Tarikh-i Ya’qubi’ that in the 16th year of ‘migration’ the second caliph determined to fix a starting point of the history of the Muslims. He wished that it should be the date of the birth of the Prophet or the date of his appointment to the prophetic mission, but Ali did not endorse his views and said that ‘migration’ should be the origin of Islamic history. (Tarikh-i Ya’qubi, vol. II, page 135). 248. Tarikh-i Kamil, vol. II, page 74. 249. Most of the biographers of the Prophet, like Ibn Athir (Tarikh-i Kamil, vol. II, page 74) and Majlisi (Bihar, vol. IX, page 88) have quoted this incident, as narrated above, from the sixth Imam with reliable sources. However, the author of ‘Hayat-i Muhammad’ says: “Saraqah considered these occurrences to be a bad omen and thought that the gods wished to prevent him from this task”. 250. Biharul Anwar, vol. XIX, page 75. 252. Tarikh-i Kamil, vol. II, page 75. 253. Imta’ul Asma, page 48. 254. Tarikh-i Tabari, vol. I, page 106. 255. Usudul Ghabah, vol. IV, page 99. 256. Biharul Anwar, vol. XIX, page 108; but according to some books including Tarikh-i Kamil they were under the guardianship of Mu’az bin ‘Afra’. 258. Seerah, vol. I, pp. 500 – 501. 259. Biharul Anwar, vol. XIX, page 126.